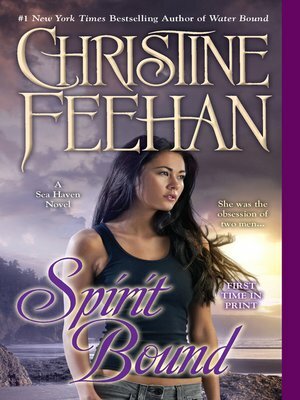 One woman becomes two men's obsession in the second Sisters of the Heart novel from #1 New York Times bestselling author Christine Feehan. Undercover agent Stefan Prakenskii knows a thousand ways to kills a man—and twice as many ways to pleasure a woman. That's why he's looking forward to his new mission. He must go to the coastal town of Sea Haven and insinuate himself into the life of an elusive beauty who has mysterious ties to his own past and a dangerous link to a master criminal whose sole desire is to possess her. Judith Henderson is an artist on the rise, an ethereal and haunted woman who has been waiting for someone to come and unlock the passion and fire within her—waiting for the right man to surrender it to. But only one man can survive her secrets, and the shadow she has cast over both their lives.